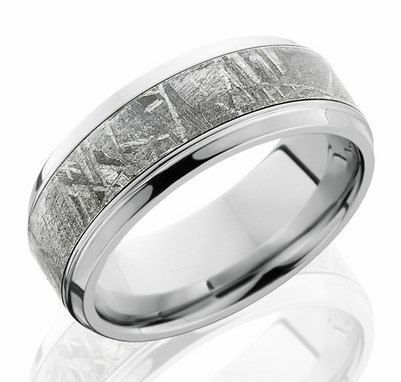 Cobalt Chrome 9mm Beveled Band with 5mm Meteorite Inlay. The processing and choice of ring was great! I did feel that Serge could have communicated more in the process but overall I love the ring.